And here’s the head Rat. 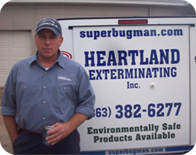 Fred started Heartland Exterminating 15 Years ago. Growing from a one man operation in 1992 to what is today, the largest privately owned Pest Management company in Highlands county. Fred is avid reader and dedicated student of marketing. Born and raised in Highlands County. Fred graduated from Sebring High School in 1983. Fred is also an active member of First Baptist Church of Sebring. 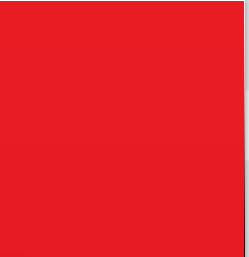 A Gold plus member of Glazier Kennedy’s Inner Circle, and a member of PCO millionaire coaching group. Fred likes to fish and loves to hunt. Fred has 8 hunting dogs and one Jack Russell, affectionately named Ely. Rachel joined the Heartland team in 2007. She oversees all daily aspects of our office operations. She usually has a telephone in one hand and a mouse (the kind that doesn’t squeak) in the other. She enjoys solving problems for our clients, and keeping Heartland Exterminating running smoothly. 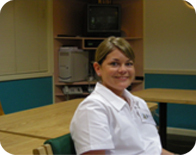 In her spare time, Rachel enjoys watching the Miami Dolphins play football, and attending Indian River State College. Call Rachel for your FREE Pest Control or Lawn Care Estimate. Don’t forget to ask her about our newest service “Mosquito Misting Systems”. 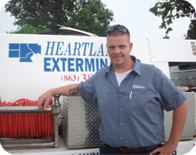 Donnie has worked for Heartland Exterminating for 5 years. 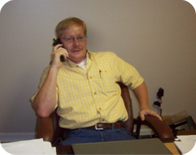 He is the supervisor of our Commercial & Residential Lawn Care Programs. Donnie also oversees all commercial Termite Preventatives. He is an active member of Lake Placid Baptist Church, and in his spare time he enjoys hunting & coaching little league baseball. Call Donnie for a Lawn or Termite Estimate. Chris has been on the Heartland Team for 2 years. He is our Lawn Maintenance technician. You can catch him driving our ‘green machine’. Chris enjoys talking with his clients and giving them a beautiful lawn to brag about. In his spare time he enjoys fishing one of our many lakes or playing softball. Call Chris for a Moss Treatment Estimate or Lawn Care Estimate. 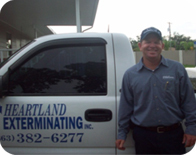 Darrell has been providing outstanding customer service to Heartland Exterminating clients for 14 years. 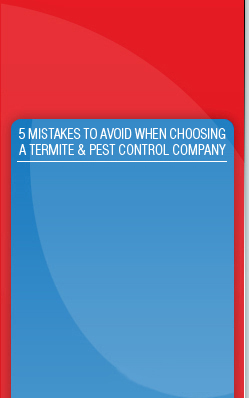 Darrell exceeds his Residential and Commercial Pest Control Clients expectations on a daily basis. Just make sure you give him a cup of coffee before he starts the day! If you are interested in a free pest control audit for your home or business give Darrell a call.